Palau: an idyllic Pacific island nation. With coral reefs, turquoise waters, emerald forests, white beaches and all the sunsets, it’s got everything a travel Instagrammer’s feed needs. With so many natural wonders, it’s unsurprising that tourism is the biggest driver of Palau’s economy. But, with tourists visiting in ever more unsustainable numbers, problems have inevitably arisen in the form of pollution, litter and damage to Palau’s delicate environment. To tackle the problem the Palau tourist office and government sought help from Australian ad agency Host/Havas, and together had an idea that bagged a coveted D&AD Black Pencil last month. 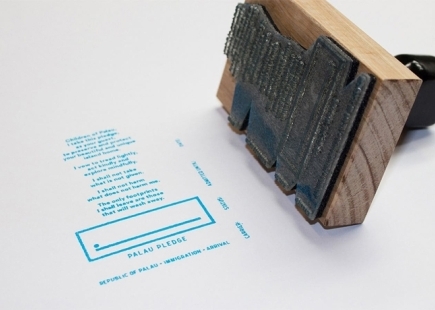 That idea was the ‘Palau Pledge’. 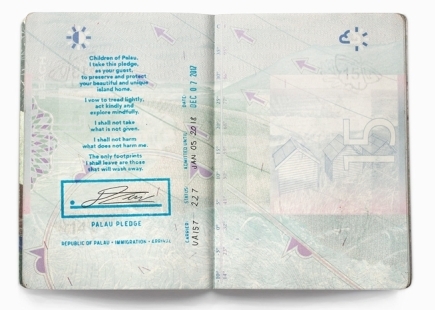 The stamped pledge filled a page in each tourist’s passport and was delivered in the form of a short poem written by Palau children – a poignant, neat reminder to be a good tourist whenever a visitor flicked through their passport. And so Palau became the first country worldwide that only issues visas to tourists who sign an eco-pledge. In addition to the pledge, and rewriting immigration law, the agency produced copious supporting ads, digital video content, an in-flight video, ethical guides, information packs distributed at airports, checklists for tour operators and stories from Palau’s residents. Much of this content lived on an online resource hub where visitors could also sign a form of the pledge. In PR the story was covered extensively in many of the world’s biggest news, travel and lifestyle media. And while not required for success, eco-celeb Leonardo Di Caprio’s endorsement certainly helped attract more mass earned media coverage for the Palau Pledge. 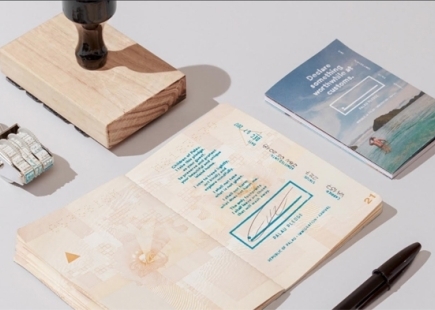 Stamping a passport and asking tourists to sign-off on an agreement to be more environmentally-friendly is a simple enough concept. But behind that simplicity you wonder how administrative and bureaucratic obstacles had to be surmounted. I’d hazard a guess that if an FMCG brand attempted this kind of idea it would find it fiendishly difficult to get off the ground. It helps that in this case the ‘brand’ was the Palau Visitors Authority and the state itself. But that shouldn’t take away from the creativity and ambition on show in the idea. Coming up with a marketing idea that sees a nation state, even a small one, amend its immigration law and secure the full backing of the local population, including the President, is no mean feat. So the agency should be commended for this original and bold creative. The Palau Pledge is an outstanding example of integrated comms in practice with a brilliant creative PR story at its heart. This was an original idea that established the archipelago as a pioneer; I wouldn’t be surprised if other nations adopt a form of the pledge. But the question remains about how well it will work over the long term. 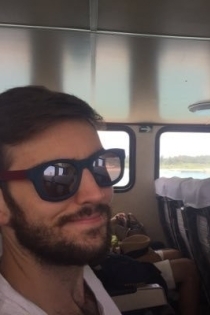 The idea’s makers say it was designed to drive awareness, something it clearly achieved. But it would be a shame if Palau wasn’t also measuring long-term effectiveness. If there’s one weakness it’s that the pledge only works if visitors keep their promises. A country dependent on tourism won’t resort to policing the pledge. That would potentially drive away the economy’s life-blood. So the majority of visitors must consciously stick to the pledge for it to genuinely benefit the environment. Given the ingenious, even-handed way the idea disrupts the travel routine, engaging visitors at passport control to secure their entry visa, I’d like to think it has the authority to move people to stick to the pledge.